Men’s Nike Washington Huskies Jersey Small Purple Blank Basketball . Condition is Used. Shipped with USPS First Class Package. Excellent condition as seen in pictures. Washington Huskies Men's Nike Basketball Shorts NWT Medium. Condition is New. Shipped with USPS First Class Package. 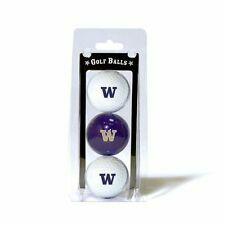 2019 ROSE BOWL Authenic Washington Huskies VS. Ohio State Dueling black hat AND PIN. Up for sale is a used - Nike Washington Huskies Polo - Shirt. Lightweight dri fit material. STYLE: Washington university hoodie therma fit. Length (back of collar to bottom) 27”. Fair - Heavily used. Visible signs of wear that impact the appearance of item. FABRIC: Cotton blend. Very Good - Well-maintained. GREAT LOOKING SWEATSHIRT, SOFT MATERIAL. SOLID PURPLE WITH TAN PRINTED LOGOS ON THE FRONT AND SHOULDER. Cracking graphic, blemishes near cuff and elsewhere as pictured, small cuff holes, etc. Mistakes happen. Front neck to bottom front hem. 2019 ROSE BOWL Washington Huskies adjustable strap back hat. 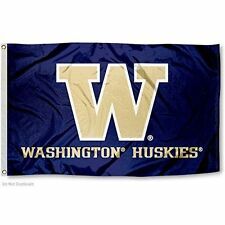 Washington Huskies Flag. - Can be attached to flagpole or used as a banner on the wall. Nike Dri-fit Washington Huskies Basketball Shirt. sz L. Excellent condition. No rips, holes or tears. Stain and odor free. #21 Taylor Rapp. Black, purple. Because Jobs Change Lives! Any item sold by the Seattle Goodwill is eligible for local pick up at our warehouse. Net proceeds from the sale of these goods and financial donations from the community make it possible for us to operate our free job training programs. Vtg Bill Hatch Husky Fever Washington Huskies Baseball Jersey Large . See last photo for dark spot at front torso. Excellent condition. 100% Authentic Vintage Speedline Pro Pak brand. Team Issue Game Worn Jersey Shooting Shirt. Velcro tabs on the bottom sides used to keep Jersey inside Pants. Men's size 46. Shoulder to bottom hem - 31". Armpit to armpit - 25". Payment is due within 48 hrs. Good luck and happy bidding. They are in great condition and were hardly worn. They are black with sewn graphics on the front. They have an elastic waistband with drawstring and can unbutton around the ankles. They are 100% Nike StormFit polyester with 3 pockets. Washington Huskies Nike Men's Basketball SHorts NWT Medium. Condition is New. Shipped with USPS First Class Package. Compression calf to maintain stretch & performance. 1 CRW/ST, NCAA. Excellent condition, clean and ready to wear. No rips, holes or stains. Quick shipping! Champion Elite Gray Pullover Sweatshirt Washington Huskies Mens XXLarge. Condition is New. Shipped with USPS Priority Mail. University of Washington Huskies OSFA Fitted Hat. 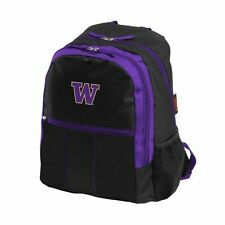 Huskies logo embroidered on back. Adidas logo embroidered on right side. One size fits all (OSFA) Fitted. Team color purple. Raised large gold "W" embroidered on front. This item is an authentic Team Nike University of Washington Huskies football jersey made by Nike for QB Jake Browning. He led the Huskies to the College Playoffs in 2016 and the Rose Bowl in 2018. Everything is sewn on and it has the PAC-12 patch sewn on also. Top quality, beach towel, 100% pure cotton. Towel unrolled looks just like picture on outer wrap of blanket, print/design covers entire towel. Machine Wash and Tumble Dry. As you can see from the pictures, the images are bright and vivid. Large mounting holes make it easy to install onto any vehicle. 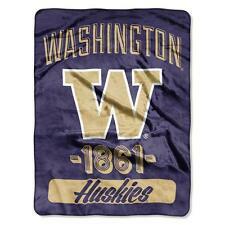 A great gift idea for that avid Huskies fan or spoil yourself and keep it. Check out the amazing graphic! Pit to Pit: 23.75". There are subtle marks throughout, including one right above "Rose.". Top to Bottom: 26". 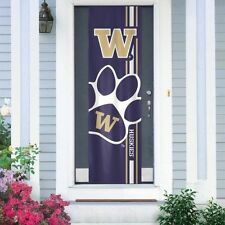 Hello Dawg fans! UNOPENED and in mint condition. that the circumstances warrant it. 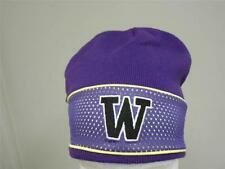 WASHINGTON HUSKIES WHITE NCAA VINTAGE KNIT BEANIE POM Z SKI CAP HAT NWT!